write my essay today Do you like taking on the hardest games ever to constantly push your skills to the edge? 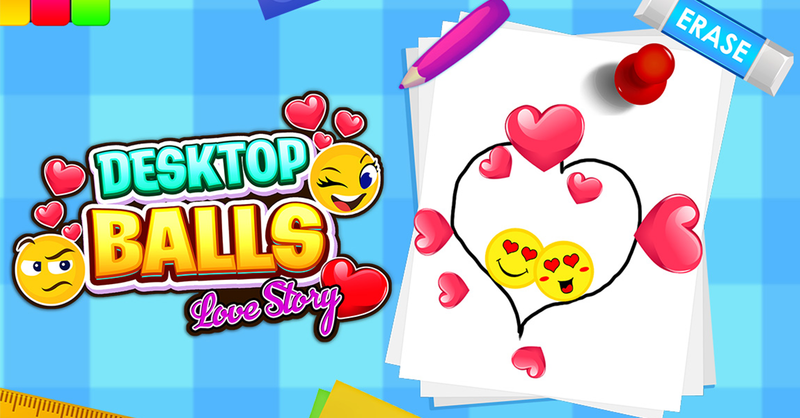 If your answer is yes, then you will have to download and install Desktop Balls – Love Story on your Android smartphone or tablet because it is just the perfect balls game for you right now! This new love birds game is amazingly designed with an awesome environment to give you the best experience while playing it. As a player, your task is to concentrate and maintain your focus so that you can Draw the line and make together balls at a place without touching obstacles. But, keep in mind that your mission is not that easy, because there are many obstacles and they will not let you make balls together easily in this love dots game, so you should focus more to make balls together in the easiest way and finish the current level to go to the following one. Desktop Balls is a cool and insanely addictive weave the line and play a ball game to tickle your brain. Get hours of fun by playing this amazing love game, you will fall in love with it, the moment you start playing it. Our love birds game offers hours of fun that are free of any charge. Addictive gameplay to keep you hooked for hours with awesome fun and frolic. enter ✔ Simple, attractive and high-quality graphics designed especially for this draw the line game. You will have an awesome feeling while playing in this amazing environment. ✔ Very easy to play and you don’t have to watch any tutorial to learn how to play. ✔ Our play ball game is free and it will stay free for life, so there are no hidden fees, no special memberships, and no annual subscription fees. ✔ We have rotating platforms that will let you move balls in a specified direction. ✔ 300 levels! Yes, our game contains 300 levels and you can enjoy playing as much as you want because the only one who can stop you is you.